The full programme of that conference can ce consulted here. 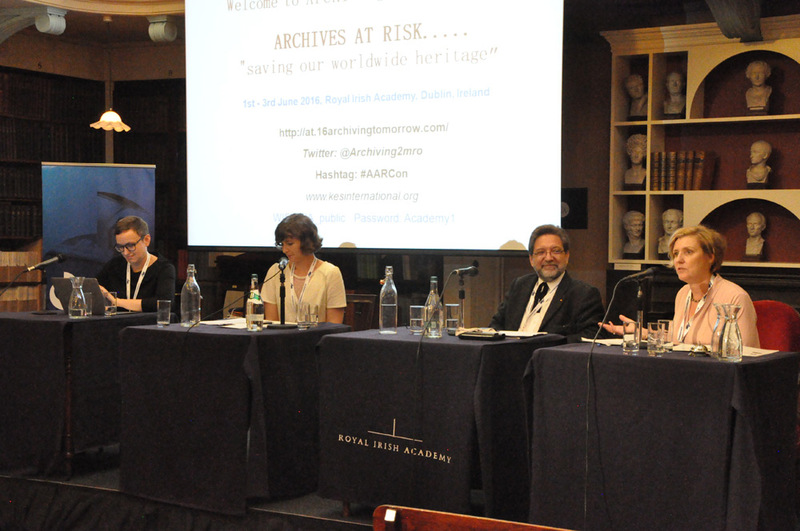 ARCHIVES AT RISK... "Saving our worldwide heritage"
It was a special 2-day world conference to highlight the single most important issue facing the audiovisual archive world today: Saving the endangered Audiovisual Archive heritage of the world before it is too late! The conference was organised in association with RTE in Dublin and a number of key local and world partner associations who share this common goal. We will bring together, world audiovisual leaders, associations, heritage bodies, policy and decision makers, industry experts, funders and supporters and anyone who can help to raise awareness, exchange ideas knowhow and identify solutions. Much of the world’s audiovisual archives remain on decaying carriers and require urgent intervention if they are to survive into the current millennium. Experts maintain there is about 10-15 years remaining to achieve this. The risks are considerable. Here are links to videos of the discussions held at the Dublin Conference.